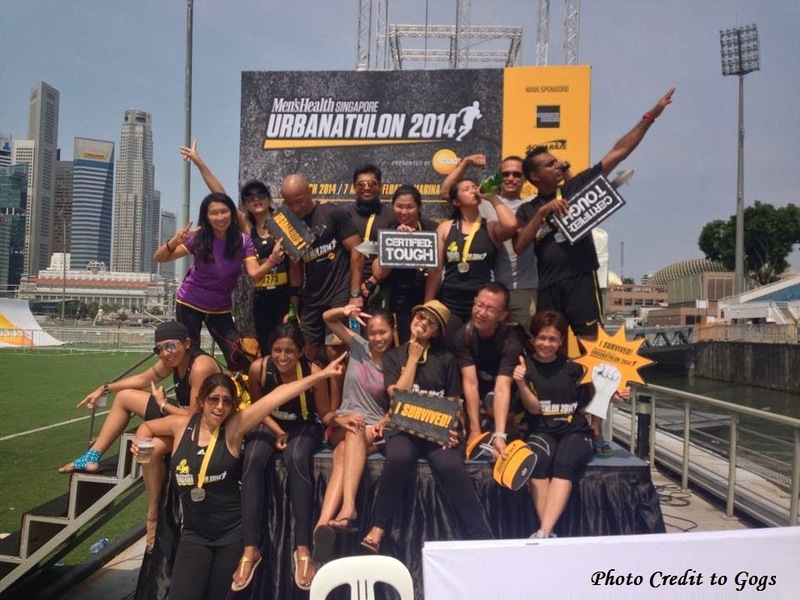 It was another mad weekend in Singapore at the start of March and this time, the OBC gang and I were there for the Men's Health Urbanathlon 2014. Along with several other friends, my mom and my sister, I stayed at the same hotel as my previous trip, Fragrance Hotel - Riverside as it was a 20 minutes walk to the Float at Marina Bay which was also the start point of the race. 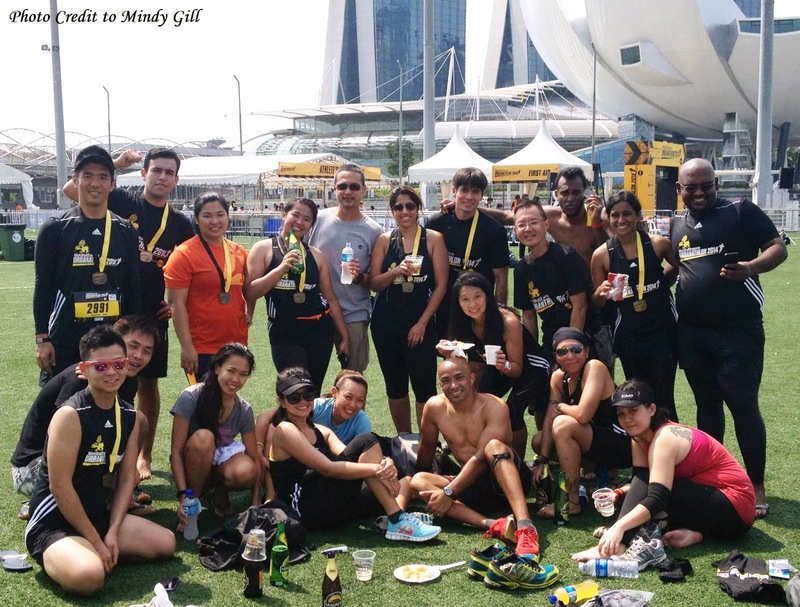 Singapore's Urbanathlon has been hailed as one of the best obstacle races in the region and having caught the obstacle race bug last year, I wanted to try it out for myself. The race was a 14km course around the city's riverside and had 9 obstacles for us to look forward to and tackle. My auntie asked me which obstacle did I dread the most and I answered, "The running. I just want to try out the obstacle but I don't want to run from obstacle to obstacle." The race officially kicked off at 7:30am and participants were released in waves to avoid congestion on route. At this point we lost several of our gungho mates who shoved slipped their way to the front. But for those of us who hung back at the end of the crowd, in true bootcamp tradition, we took photos before we started. A lot of photos. Stairs were the first thing that greeted us but that wasn't an obstacle. It was part of the route but had us huffing and puffing. The first obstacle was called the Balance Sheet, which were four balance beams of different width and heights. Quite a lot of people incurred a five minute penalty added on to their time for failing this obstacle. We continued running along the Marina Bay until we reached Clarke Quay riverside where the Network awaited us. It was an easy obstacle but there was a backlog of participants here as we had to our turn to have our go at weaving our way through the maze of criss-cross strings. The routine led us to Fort Canning where the stairs and slope killed my legs again and the walking started here. I can't complain though as it was very beautiful with plenty of trees and shade. Soon the next obstacle loomed, the Peaks and Troughs. We basically had to climb two slanted walls, one using a rope and the other, grip holds. Ironically the slope with the American Express sticker made it slippery and my friend who tried twice or was it trice (?) was cursing it at the top of her lungs. The next obstacle, the Workload was a familiar one for bootcampers, carrying 20kg sandbags for 50meters and back. The only catch was that it was wet, as in soaked, having been left sitting in a barrel or water. I threw it over my shoulder and sloshed went the water down my back. Urgh...but I ran or at least tried to while dragging the sandbag to the turning point and back. The Fort Canning stretch ended here and after several more flights of stairs, we headed to Clarke Quay and Robertson Quay. This to me was the hardest part of the race as the route just went on and on and on. We passed a few friends on their way back as the route doubled back and one friend told us honestly, "I ain't gonna lie...It is a long way to go." we had to climb over it. Again, I tried it twice, unaided and the second attempt saw me slamming my poor camera into it as it was in my pouch. I opted then to take my friend's offer to boost me over. The volunteer was kind enough to block off that whole section for us as we helped each other over. Regardless, steeling my nerves and desperate to finish, I grabbed on to the pole and down I went! After egging my friend into the completing the Leap of Faith, we ran the last stretch, now trying to beat the hot sun. Unlike Malaysia, which at that time, had haze to filter the sun rays, Singapore was experiencing clear blue skies and the sun beat down on us as we approached the second last obstacle, the Network. We climbed over the net thrown over a truck easily and finally spotted the finish line in sight on the Float. But not before spotting the last and final mystery obstacle, the Ramp or those who have done Tough Mudder would fondly call it....the Everest. Although no where as tall as Everest, the Ramp was still a tricky one especially if one didn't have enough momentum and upper body strength to pull themselves up. I ended up clutching to my sister's hand and a volunteer for dear life. From the crowd, I could hear people yelling at me to use my legs! Like duh. Why didn't I think of that? I did and got over! Thanking the volunteer, the crowd and my sister, I slid down the slide into a pool of murky water with a loud ahhhhh. I could actually feel the heat leave my body and I reluctantly rolled climbed out to make the last dash for the finish line. Overall, I took 2 hours 37 minutes to complete the race and to be honest, not my best run. But you know what? I had fun. Despite it being just an overnight trip, it was one of the best trips and races I've done. 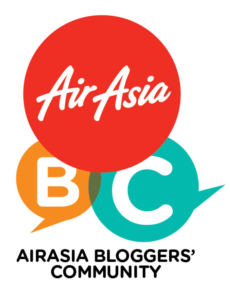 It was endless laughter and loads of memorable photos from the moment we reached Singapore to the moment we left. Urbanathlon, despite the long start and the lack of water, you are still one of the better obstacle races in South East Asia that I have raced in. The obstacles were all do-able and overall, the route was scenic and gorgeous...minus the Robertson Quay stretch. And of course, the company was awesome. I think the latter made all the difference. Whether I'll be back next year, depends in aforementioned company. Indonesia: Bali Day 3 (Part 4) - Al Dente anyone?